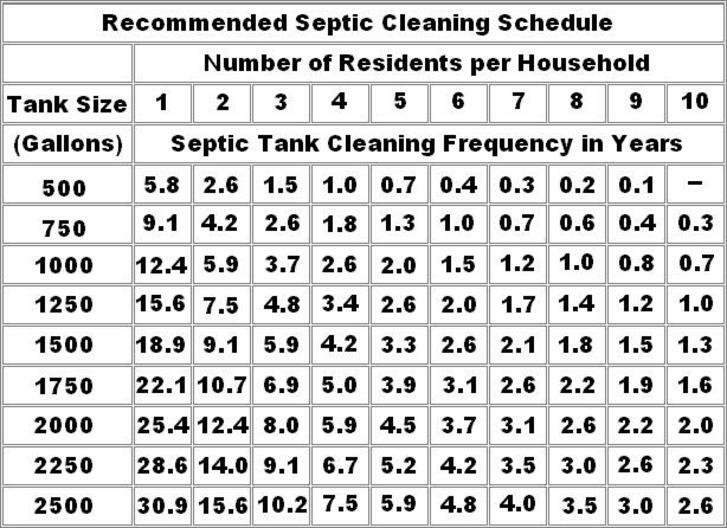 How often do I need to pump my septic tank? 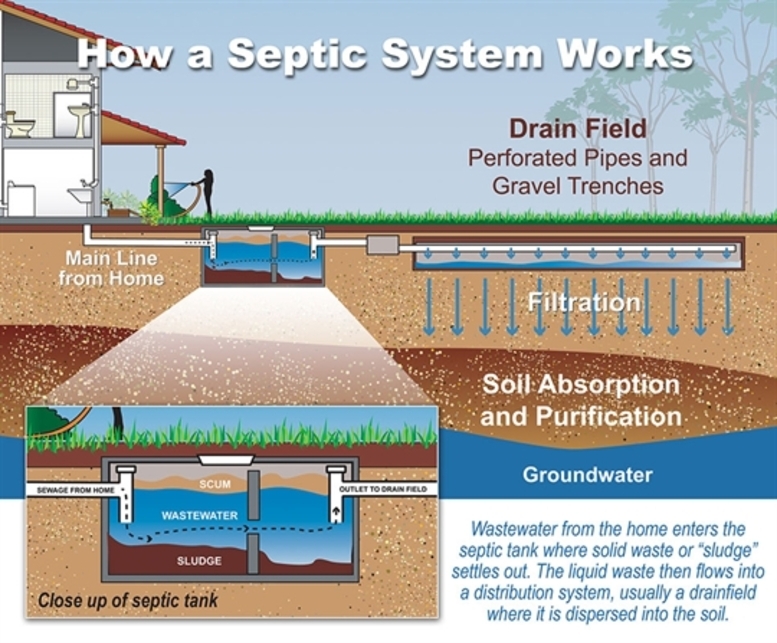 ​The Oregon Department of Environmental Quality recommends that septic systems are pumped every three to five years. If four people live in a four-bedroom house, a 1,000-gallon tank may need to be pumped approximately every three years or more. If the same system services a family of two, the tank would be ready for pumping every five years. 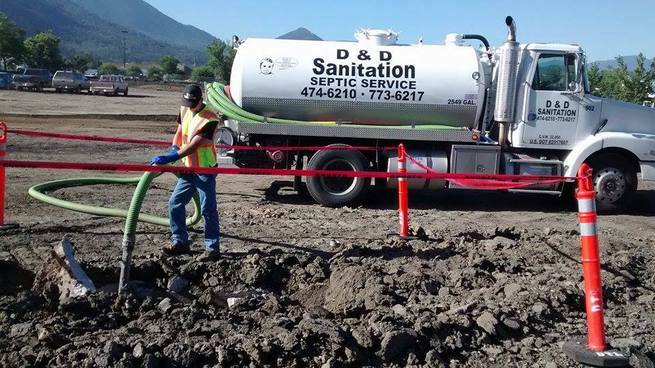 D&D Sanitation are the right experts to talk to, from getting your septic tank pumped to getting your mainline or your tight line snaked. We also do repairs, we can do it all. Our number one goal is to provide you with a 100% customer satisfaction!! Do:​​​ Keep your built system diagram in a safe place for reference. Make arrangements with a reliable service person to provide regular monitoring and maintenance. Familiarize yourself with the location of the electrical control panel and respond to alarm condition promptly. ​Remember that the audible alarm can be silenced by pushing the lighted button located directly above the Push To Silence label on the front of the electrical control panel. Take immediate action to correct the problem in the event of an alarm coming on. Don’t: Flush trash, chemicals or paint (even water base). Flushing flammable and toxic products is dangerous, while other materials such as paper towels, cigarettes, coffee grounds, egg shell, large amounts of hair, and cooking grease can be harmful to your system. Dump recreational vehicle (RV) waste into your septic tank. RV waste may contain chemicals that are toxic or that may hamper the biological activity in your system. Pour grease down your drain. Drive over your septic tank or any buried pipes. Discharge water softener backwash into the septic tank. It contains high levels of chlorides that can destroy microorganisms. Use anti bacterial products as it will kill the active bacteria in the septic tank.